MOSCOW, June 7. /TASS/. Russian President Vladimir Putin is expected to hold talks on Tuesday with Israeli Prime Minister Benjamin Netanyahu who will make an official visit to Moscow on the occasion on the 25th anniversary since the restoration of diplomatic relations between the two countries, the Kremlin press service said. This will be the second meeting between the two leaders in Moscow over a period of a month and a half. The previous time Putin and Netanyahu held talks in the Kremlin was on April 21. This time, they will focus on how the agreements they reached during that visit are fulfilled. The Kremlin press service said the two officials were going to have a detailed exchange of opinion on the Middle East regional issues, with special emphasis on the struggle with international terrorism. Putin’s Press Secretary Dmitry Peskov said earlier the agenda of the talks would be expansive, since relations between Russia and Israel were at an advanced stage and had the character of partnership. He indicated that both countries had a big potential and a solid groundwork for bilateral trade, as well we for cooperation in security and international politics. The Russian Ambassador to Israel, Alexander Shein, said one of the documents that the sides planned to sign during Natanyahu’s visit was an agreement on pensions to the Israelis who did not keep Russian citizenship after emigration from the former USSR. Netanyahu said upon the end of his talks with Putin in April they had made progress on the problem of pensions for the Russians residing in Israel and on greater Israeli-Russian coordination in the sphere of security. 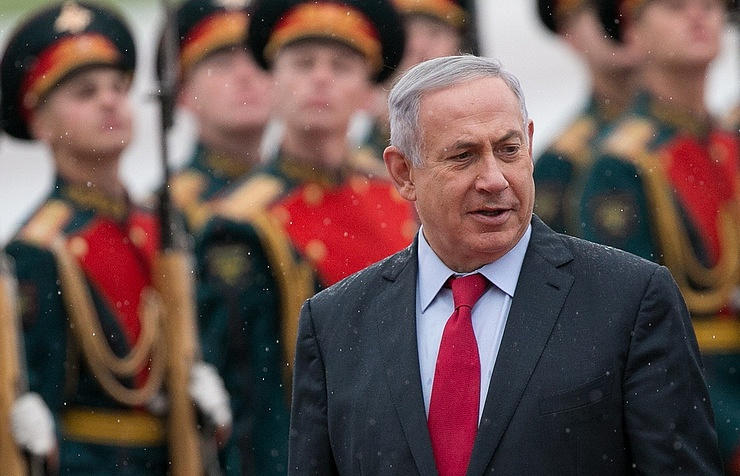 Israeli Prime Ministers have made thirteen visits to Russia to date since 2000. Netanyahu accounts for seven visits of that number. Putin said in March 2016 while receiving Israeli President Reuven Rivlin in the Kremlin relations between the two countries relied on friendship, mutual understanding and a long shared history. Russia and Israel mark twenty-five years since the resumption of diplomatic relations in 2016. The USSR established diplomatic relations with the State of Israel several days after the declaration of independence of the latter country on May 14, 1948, but they were broken off on two occasions. The first severance of diplomatic ties occurred in February 1953 after a bomb explosion on the territory of the Soviet legation in Israel but the two countries restored them several months after that. The second severance took place in June 1967 after the start of the Six-Day War between Israel and Arab countries and it was followed by an interval that lasted twenty-four years. The two countries began to restore consular communications in 1987 and the full-format diplomatic relations were resumed on October 18, 1991. In December 1991, Israel recognized Russia as a legal successor to the USSR. After the two countries abolished travel visas for each other’s citizens, Israel turned into a highly popular destination with Russian holidaymakers. The number of Russians coming to Israel reduced sharply in 2014 and 2015 after the ruble’s fall versus the major international currencies but still they remained number two at the top of the list after the Americans, ceding it to the French only in February 2016.